Ireland’s World Player of the Year Johnny Sexton went off injured midway through the first-half of their Six Nations clash with Scotland at Murrayfield. The 33-year-old fly-half’s enforced substitution — after taking several hefty tackles early on — dealt a huge blow to the defending champions hopes of bouncing back following their 32-20 defeat by England last Saturday in Dublin. 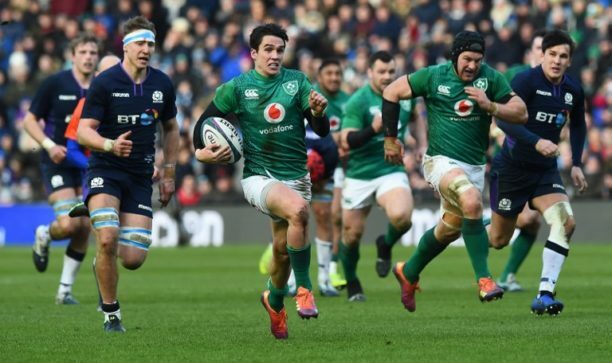 Sexton, who was replaced by Joey Carbery, had been pivotal in setting up Ireland’s second try by Jacob Stockdale, but as an indication all was not well, Conor Murray took the conversion. Unlike the Irish, the Scots opened their campaign with a victory, beating Italy at Murrayfield last weekend. One consolation for the teams is that Sexton and Hogg have two weeks to recover as the tournament takes a break next weekend.